Canada have sensationally been eliminated from their first round Davis Cup tie against Great Britain after player Denis Shapovalov was defaulted for hitting the chair umpire in the face. With the tie in Ottawa level at 2-2, Shapovalov was playing Briton Kyle Edmund to earn his country a place in the quarter-finals. Edmund, already leading two sets to love, broke the Canadian’s serve to take a 2-1 lead in the third set, at which point a frustrated Shapovalov angrily whacked the ball in frustration. 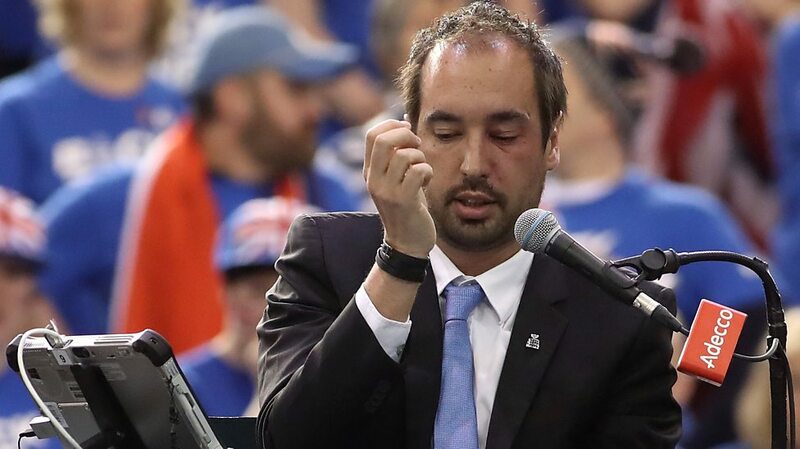 Unfortunately for the 17-year-old, who was the Wimbledon boys’ champion, it landed square in the face of umpire Arnaud Gabas, who put his hand over his face in discomfort. Gabas was unable to continue. Despite Shapovalov looking clearly apologetic, tie referee Brian Earley had no choice but to default him, meaning GB progressed to the last eight. An emotional Shapovalov, who was playing in only his second Davis Cup tie, said: “I went back and spoke to the umpire afterwards and apologised directly to him”.